You depend on your car, and when it stops running, you need a reliable repair at a reasonable price to get you back on the road as soon as possible. 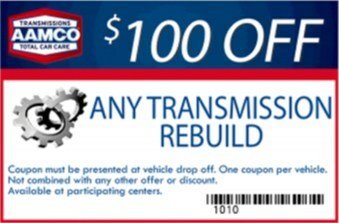 And that’s what you’ll get from AAMCO Transmission and Auto Repair of Plano. We live up to our nearly 50 years as the most trusted name in transmission repair with quality, guaranteed work at a fair price. You will never get unnecessary repairs, nor will you get less than you need or inferior, junkyard parts. When you leave AAMCO, you know your repairs will be backed by a no-questions-asked nationwide warranty—the strongest nationwide warranty in the industry. To talk to one of our technicians about your transmission problem, please schedule your appointment online or call us! We are able to offer our warranty because we have confidence that every repair is the right one. Most of the time, our extensive diagnostic procedure allows us to get you back on the road with only a minor repair. A computer scan that checks all critical computer systems in the vehicle for trouble codes. A variety of systems could cause drivability issues, and we want to check them all to find the true cause of your problem. We then run the results against the most extensive transmission computer diagnostic source available anywhere: our proprietary AAMCO technical database. We can also check to see whether the problem is inside or outside of the transmission using the AAMCO Kwiktest™ PlusBox. 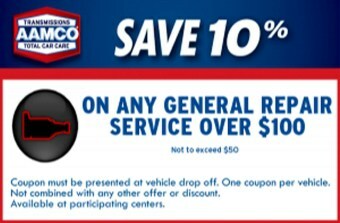 It is our comprehensive diagnostic approach that sets AAMCO apart, so that you only get the repair you need and your car, truck or SUV is back on the road as soon as possible. At your Plano AAMCO, when we find the problem, we will recommend the repair and not before. We won’t recommend a rebuilt transmission service until we know EXACTLY what is causing your problem. Don’t work with a mechanic who is guessing at your problem. Work with a certified AAMCO technician who will find the problem before he begins work. 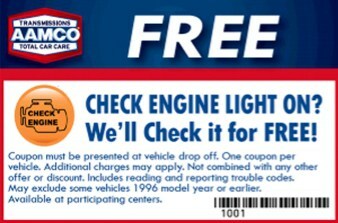 To learn more, please contact AAMCO Transmission and Auto Repair of Plano today.